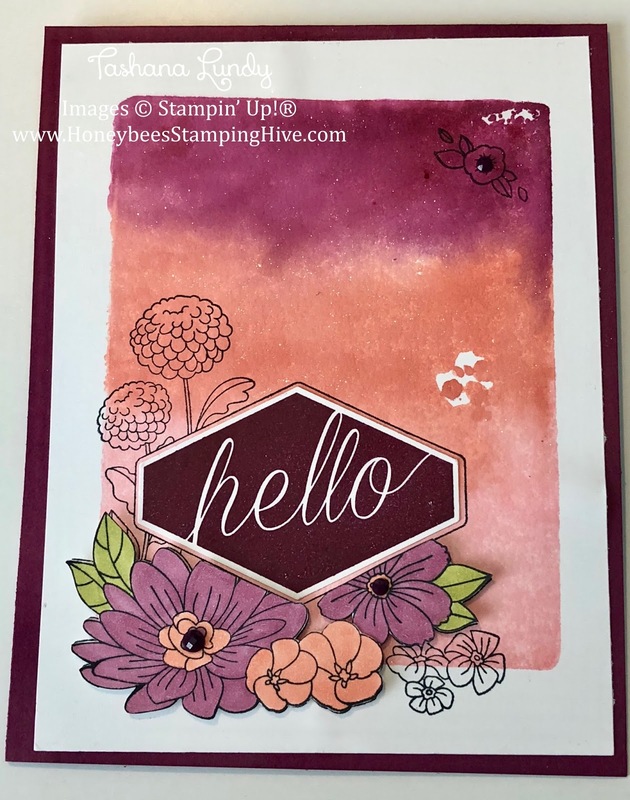 This card was made using one of the new stamp sets, Accented Blooms, that will be available in the new 2018-2019 Annual Catalog starting June 1, 2018. It coordinates with the Tailored Tag Punch. I inked up one of my clear acrylic blocks using the Flirty Flamingo, Calypso Coral, and Rich Razzleberry Classic ink pads. 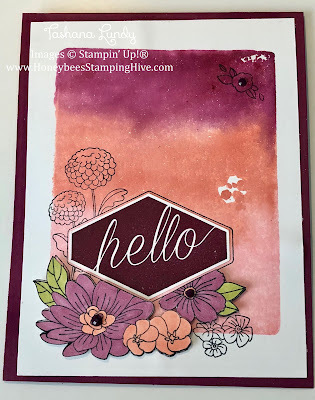 I spritzed it with a heavy mist of water before stamping onto my Whisper White cardstock to make this gorgeous background. I stamped the floral image twice so that I could have some flowers to pop up. You can't really see it, but I used the Clear Wink of Stella over the entire background.